Congratulations! You win 68 bonus points with this purchase! 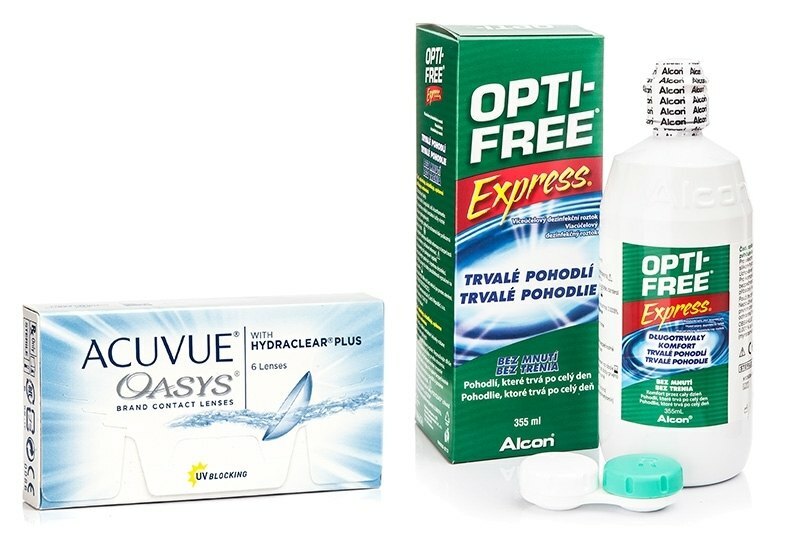 We offer an economy pack for fortnightly contact lenses Acuvue Oasys (6 lenses) with OPTI-FREE Express 355 ml solution. OPTI-FREE Express is one of the most widely used multi-purpose solutions for soft contact lenses. It disinfects, moisturises and removes deposits from contact lenses, and can also be used for rinsing and storing them.